Every once in a while we end up with a large group of people at the tailgate. For these “special occasions” its always fun to do something different, and on a larger scale. 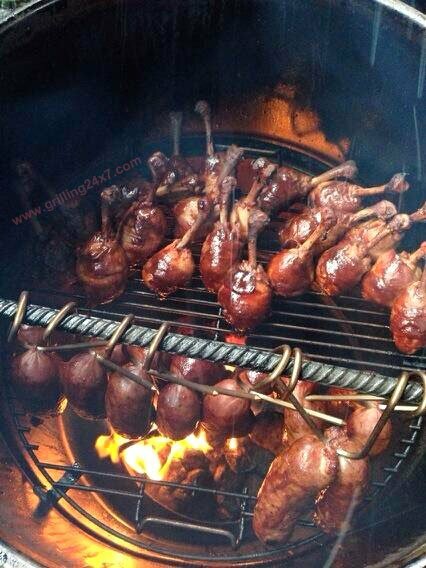 For this tailgate I was inspired by my good buddy Kinger, from BBQFood4U. 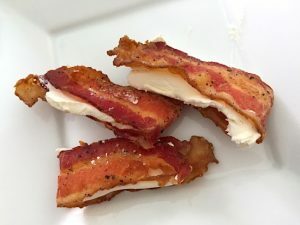 He has a great video on Chicken Bacon Candy Lollipops. 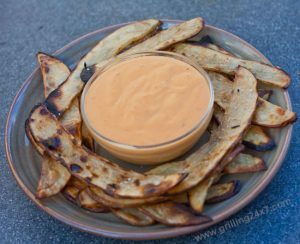 I decided to check out this recipe for a tailgate and also smoke some Kielbasa sausage on my Pit Barrel Cooker. I think this might have qualified as the best tailgate ever! Check this out. The first thing to do is to get familiar with Frenching a drumstick. The link to the video above has a great explanation on how to do so. 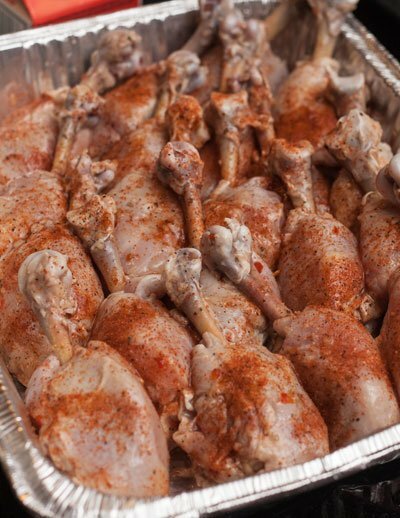 Next, take all of the drumsticks and put them in a zip top bag with a bunch of Italian dressing, as a quick marinade. 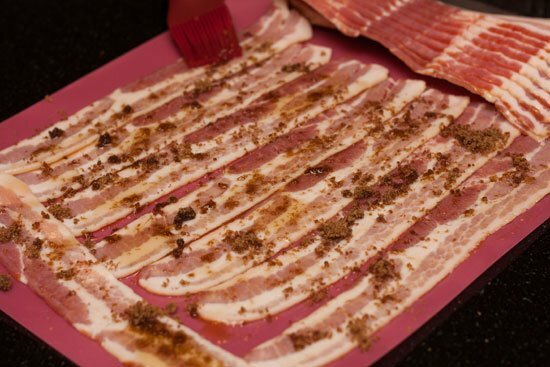 While the chicken is in the marinade brush strips of bacon with maple syrup and then sprinkle with brown sugar. After a little while in the marinade (about 30 – 60 min is good), sprinkle the chicken drumsticks with your favorite BBQ dry rub. 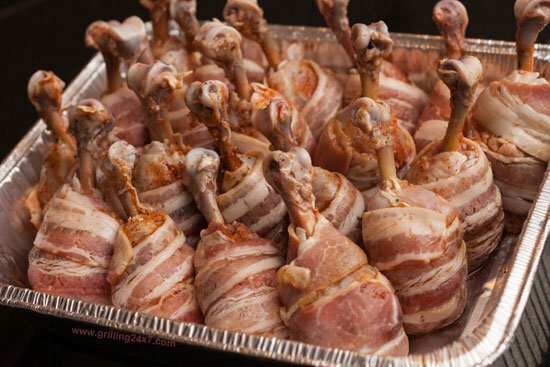 Next, wrap the chicken drumsticks with the bacon. 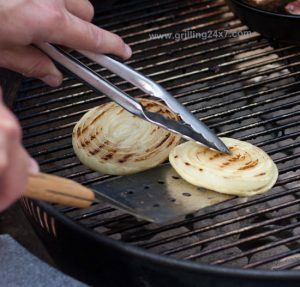 The key here is to tuck the top of the bacon under itself so it will stay put while you are cooking it. I kept these drumsticks in an aluminum tin for transport to the stadium parking lot. When I arrived at the tailgate, I set up the Pit Barrel Cooker for a typical smoke. I tossed in some apple wood and within minutes a large group had come to see what this glorious cooker was all about. 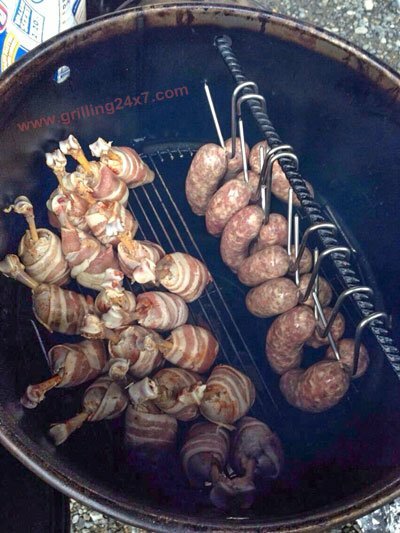 I used my modified Pit Barrel Cooker grate, which allows the Kielbasa to be hung from the rebar while cooking the bacon wrapped chicken lollipops on the flat grate. 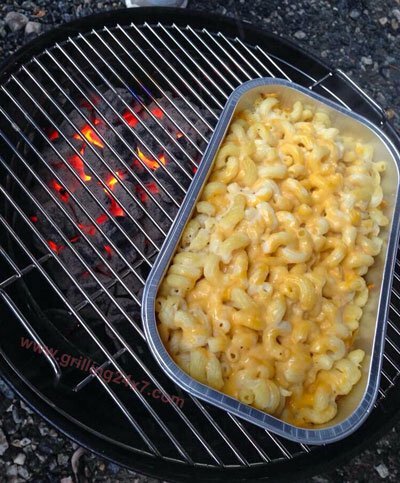 I had a second charcoal grill going with macaroni and cheese over indirect heat! After about an hour, both the chicken and the Kielbasa were finished. It was an absolute glorious tailgate and I think it might qualify as one of my best tailgates ever! It was a unique and fun spread that served quite a few people. 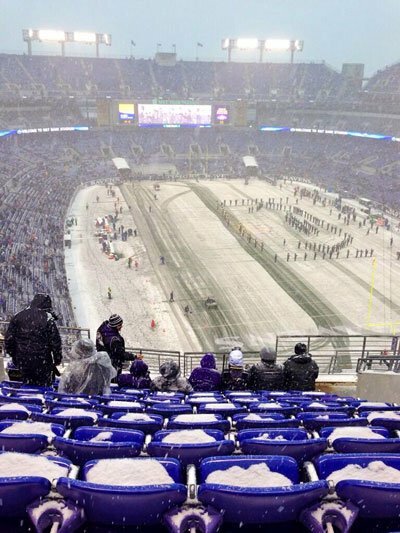 One of the coolest parts of the day, however, was that since this tailgate occurred in December 2013, it was snowing hard! What a day! You can pick up a Pit Barrel Cooker at their website for only $299. What temp did you try to maintain for the chicken?